Franklin Dwight Cossitt was born Sept. 9, 1821 in Granby, Connecticut. His father, Rene, died when Franklin was only 14 years old. Franklin and his older cousin Frederick H. Cossitt were sent to LaGrange, Tennessee in about 1835 to live with their uncle Major George Germain Cossitt who was a well established businessman. Their Uncle Georges' home, in LaGrange, was called Cossitt's Castle. While living in La Grange, Tennessee, Franklin learned the mercantile business with his uncle and apparently did quite well. About 1845, when he was 24, he built a 5,100 square foot home he called Tiara. Note the cupola that tops the home like a crown. 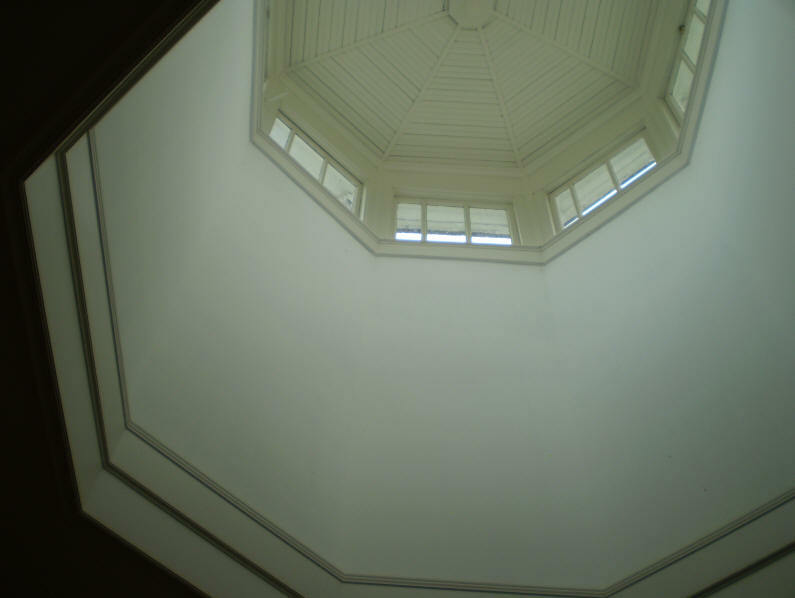 In 1900 a tornado came through LaGrange and took the cupola off the home. It landed about 15 miles away intact. It was recovered and placed back on the home. 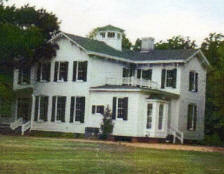 During the Civil War the home was used as a hospital. The current owners of Tiara are Bob and Mary Jean Smith. Tiara has been wonderfully restored and improved by the Smith's. Everything had to be done as the home had not been occupied for many years and was on the verge of collapse. Bob removed all the flooring to access the foundation pillars to level the home. All the plaster had to be removed as it could not withstand the leveling process without falling off. The kitchen, which had been built as a separate structure originally, was at some point attached to the house. This part of the structure was removed and replaced with a beautiful new kitchen. 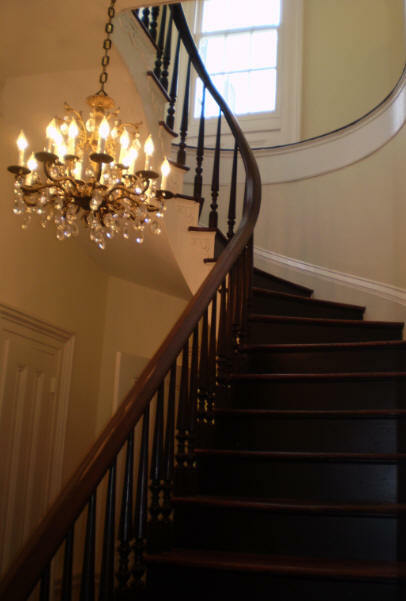 The original servant/slave stairs were discovered during the demolition of a bathroom, and probably hidden for over 100 years. 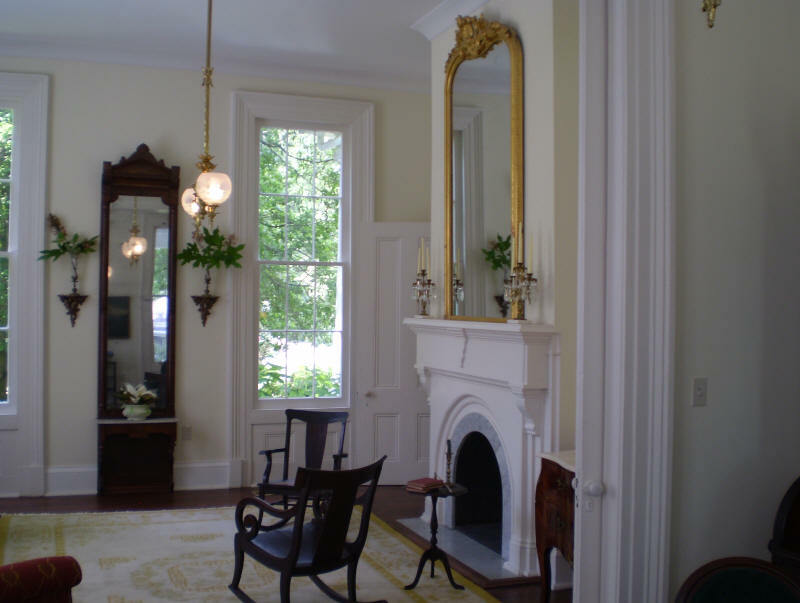 The home now has 6 bedrooms each with it's own bath, two parlors, a den and dining room There were originally 9 fireplaces. All have been retained except the one in the dinning room. The Smith's are to be commended for undertaking this tremendous project. Tiara is now ready for it's next 170 years and is available for weddings and special events. Special thanks to Cousin Charles Brand, the great great grandson of Franklin Dwight Cossitt for the story and pictures. First published November 29, 2015.